Newburgh, NY – Every January millions of Americans make the New Year's resolution to lose weight, but for a variety of reasons, it can be a difficult and frustrating process. According to latest statistics compiled by the Centers for Disease Control and Prevention, more than one-third (36.5%) of adults in the United States are obese, resulting in more than $145 billion in medical costs. The Department of Health and Human Services cites recent reports that by 2030, half of all adults in the U.S. will be obese. Obesity is often a leading contributor to a variety of health conditions, including heart disease, stroke, type 2 diabetes and certain types of cancer. All these rank among the leading causes of preventable death. For individuals who are severely obese and are not able to lose weight, or gain back weight lost from other programs or lifestyle changes, bariatric surgery may be an option to consider. The procedure is not meant to take off a few pounds, but rather is a life-altering procedure that changes the anatomy of the digestive system and the way the body absorbs calories and nutrients. The St. Luke's Cornwall Hospital Institute for Metabolic and Bariatric Surgery is verified by the American College of Surgeons, which means it adheres to strict guidelines for weight loss surgery that are dictated by the professional organizations that oversee bariatric surgery. Specifically, an individual should be of a certain body mass index. BMI is a measurement that can be done by a physician, or individuals can utilize online calculators to get started. A normal body mass index is 25.A BMI of 35 is considered the minimum weight for bariatric surgery, usually in conjunction with certain medical problems such as sleep apnea or diabetes, or a body mass index of 40 irrespective of certain health problems. One of the first steps in this journey is to learn about the different surgical weight loss options available to you. This information is provided at our free seminars, which explain how each surgery works, discuss risks and benefits as well as how we can help you make these important lifestyle changes. If a patient believes that surgery might be an option, one of the most important things to keep in mind is that no surgery can solve everything. The surgical procedure is just one aspect that an individual will need to undergo to transform themselves. Lifestyle changes such as a healthy diet, exercise and dealing with potential underlying emotional issues are critical to really improve health, longevity and quality of life. Having weight loss surgery is a very comprehensive process that requires preparation and attention to detail. It is vital that patients have access to both a personal and professional support system. When choosing a provider, it's important to investigate and understand how they can help you navigate the process, including mental health and insurance issues that can arise; everything that is required to get through the surgery. The most important thing is to go to a reputable bariatric surgery program that has expertise and a history and a track record of excellence. The better prepared patients are, even before the surgery, the better the ultimate result can be. More weight loss with less risk. We invite you to learn more about the St. Luke's Cornwall Hospital Institute for Metabolic and Bariatric surgery at stlukescornwallhospital.org or call 1-855-EAT-RITE. Dr. Wayne Weiss is a board certified surgeon specializing in General Surgery, Surgical Critical Care and Bariatric Surgery procedures. He is a trauma surgeon for over 25 years with an established record of excellence. He is a Fellow of the American College of Surgeons (FACS) and a member of the American Society for Metabolic and Bariatric Surgery (ASMBS). 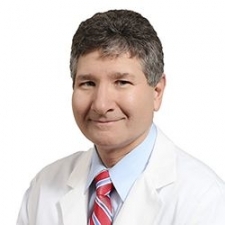 Dr. Weiss has over 20 years of laparoscopic surgery experience. He has been performing bariatric surgery for over 10 years, performing thousands of bariatric surgeries, including Laparoscopic Gastric Bypass, Laparoscopic Sleeve Gastrectomy and Laparoscopic Lapband. St. Luke's Cornwall Hospital (SLCH) is a not-for-profit community hospital with campuses in Newburgh and Cornwall, NY. The hospital is dedicated to serving the health care needs of the Hudson Valley and has achieved excellence in the delivery of compassionate and comprehensive health care services. SLCH is also recognized as an industry leader in using information technology to improve patient care, by winning the Most Wired Award for the second year in a row. In January 2016, SLCH officially partnered with Montefiore Health System to strengthen the delivery of health care locally and enhance access to exceptional specialty care for Hudson Valley residents.